Welcome back to Fountain Pen 101. We’re down to the last two issues. This week I’m covering paper. As a fountain pen user, you’ll have to give thought to what paper you use. You’ll want to make sure you use “good” paper, often referred to as “fountain pen friendly”. This term references paper that “behaves well” with fountain pens, and is, to some degree, personal preference. In this particular case, it will be easiest to discuss various properties paper is judged on, rather than the paper itself. If you’re only interested in overviews of different paper and notebooks, then feel free to jump ahead to that section below. Bleedthrough is considered a negative trait. As I mentioned before, this is how much an ink bleeds through paper. Particularly “bad” paper will cause bleed-through with nearly every ink, but some ink will bleed through on nearly every paper. Keep in mind that you can make virtually any paper bleedthrough if you lay down enough ink. An example of minimal (left) and major (right) bleedthrough. Welcome back to Fountain Pen 101 and happy Fountain Pen Friday. This week, I’ll be discussing cleaning and filling your pens. However, because videos can explain cleaning WAY better than words ever can, I’ll be linking to videos for a decent portion of this post. I’ll also provide you links to good pen cleaning supplies. NOTE: The prices listed below are in USD and don’t include tax or shipping. Cleaning is one of the down sides to fountain pens, especially if you can’t disassemble the pen. However, it is vital to preserving the quality and prolonging the life of your fountain pen. As a rule, you should thoroughly clean your pen every time you change inks or before you store your pen for an extended period of time (think more than 2 weeks without use). If you are simply refilling your pen with the same ink (some people always use the same ink in a specific pen), then you should clean your pen every 1-2 months. If you’ve been reading my Fountain Pen 101 series, you’ve seen a couple of shout-outs to Regalia Writing Labs. Beyond being a genius with nibs, Ralph Reyes, the creator, is a really nice guy. He offered a limited run of “Full-Flex” nibs a few months ago, and Jim was lucky enough to snag one. It was absolutely amazing. Check out this fabulous flexibility. I wasn’t even putting much pressure on it. 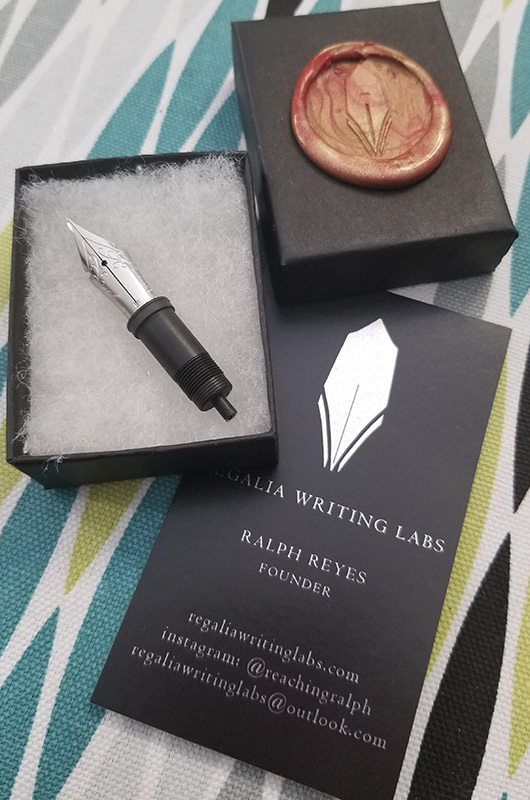 So when Ralph announced a Semiflex nib was coming, I turned on post and story notifications for his Instagram account and eagerly awaited the start of the sale. I was lucky. I got my hands on a nib, as did Jim. It took a while, but our nibs finally arrived on Monday. Ralph did an amazing job with the packaging. I felt like I was getting a piece of jewelry. And I loved the custom seal. Last week I covered ink, this week I’m covering it’s holders, namely ink reservoirs. The reservoir is what makes a fountain pen a fountain pen. Without one, it would be a dip pen. Essentially, there are two categories of ink reservoirs: removable and built-in. The ratings you’ll find below are averages and based on my opinions. Each pen is different, and every person has different preferences, so don’t discount a pen just because of a rating; research it first. Ink capacity is rated ★☆☆☆☆ (least capacity) to ★★★★★ (most). Ease of cleaning is specifically for cleaning the reservoir itself, not the entire pen, and is assuming you do not disassemble the pen at all (e.g. removing the nib unit). If you follow my blog, you’ve noticed a significant upswing in book blogging posts. This won’t be permanent. I’m actually planning to pare it down to one a week. But in diving into book blogging, I made mistakes. So I’m writing this to help anyone interested in diving into the world of book blogging. Okay, that’s getting annoying, let’s just call it BB. The most important thing to keep in mind is scheduling. Keep track of EVERYTHING for which you sign up. And make sure you can keep track of what you have planned for any given week. I use two separate schedules. I have single-month calendars in my notebook. It’s useful for me to see, at a glance, which days have something scheduled. I also keep a color-coded Google spreadsheet with relevant details that gives me a quick look at the status of various posts. My scheduling methods may be inadequate or over complicated for you, but make sure you have something to keep track of your post schedule. If you choose to have a written schedule, I highly suggest working in pencil or erasable ink. When you’re scheduling BB content, keep in mind the amount of time it will take you to read the book (if you’re doing a review). Amazon has page counts listed, which can be helpful for planning. Don’t overbook yourself by falling into the “ooh! free books!” trap. Assume you’ll get approved for everything, especially if you’re signing up for reviews. You MAY end up with less content than you planned on, but at least you won’t be stressed trying to manage everything. 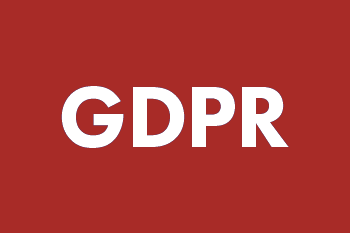 Keep track of what has to be a top post. If you schedule more than one post a day, make sure they don’t both/all need to be the top post. Monster House Books publishes a compilation of short stories featuring fierce females. Our 2019 edition includes new stories by best selling authors Christina Bauer, Genevieve Iseult Eldredge, and Majanka Verstraete! Plus, we’re searching through hundreds of new author submissions in order to select a handful of the most creative and compelling short stories to add in to the mix. 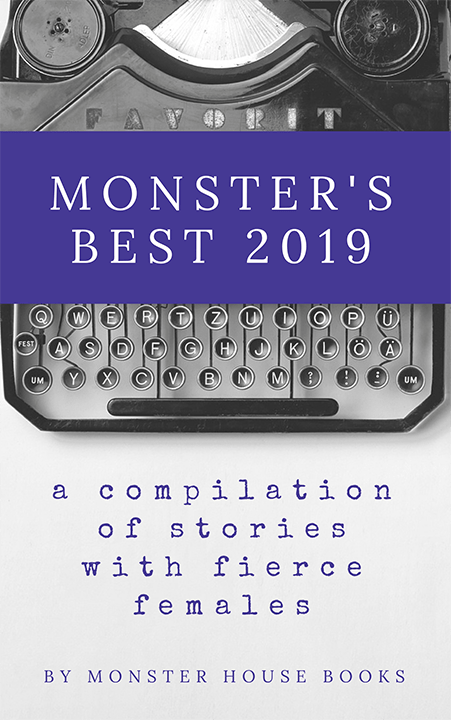 To have your work considered for the 2019 edition of MONSTER’S BEST, please send your short story (50 pages or less) to info@monsterhousebooks.com.